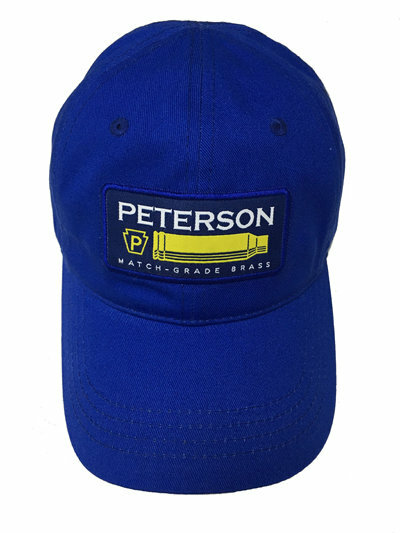 One size fits all Peterson Cartridge Tactical Cap. Embroidered with "Accuracy Starts Here" above the adjustable strap. No cap button for increased comfort when wearing ear protection.